The University has its own internal careers service, the Jobshop. It’s free to use and once you’re signed up you’ll receive regular job updates via email- following the Jobshop on Facebook is also a good idea to keep up-to-date with available positions and news. 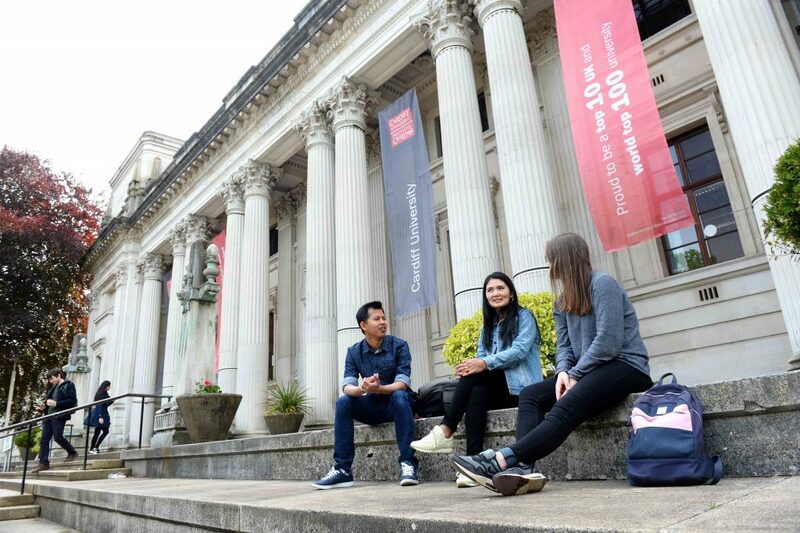 There’s everything from stewarding work during large events in Cardiff to part-time or temporary administration roles within the University itself. I recently completed a few days’ translation work for a research institute based at the University. There are also lots of positions searching for Graduates in particular. Hours for longer projects or administration work are almost always flexible to fit in around studies. The Jobshop also passes on adverts for positions from companies and firms based in Cardiff. I’ve recently had a telephone interview for a tuition company based in Cardiff and will soon be able to gain some valuable tutoring skills, add to my CV and earn some money as well. Jobshop positions are perfect. I manage to fit them around my part-time job at the Wales Millennium Centre where I work in the ticket office. Working in the Bay is fantastic. It’s the centre of a great deal of regeneration in Cardiff, home to the National Assembly for Wales and BBC Wales. The Millennium Centre is home to the Welsh National Opera and the BBC National Orchestra and Chorus of Wales, and I get to fit working in this place around my studies. I work at a pub and also do work via Jobshop. Quite honestly, keeping up with studies whilst working a job is hard! It requires you to be highly organised, to find a balance between studying and paid work and maintaining a social life for well being and health. Working for someone who understands that there are times of the year that you won’t be able to work due to assignments is really important. I did work part-time at the start of the year, however, I recently had to give up my part-time work to focus on my studies, as the taught module content has been very full on. I also know a few others on my course who have had to give up work or reduce their hours due to workload. It is difficult to juggle both, so my advice would be unless you really need the money or the job you are in is complementary to your studies, your employer needs to be very understanding that you will need to reduce your hours, and treating a postgraduate course as a full-time job is often the best way to go. I work part-time in the Student Union’s Jobshop alongside my studies. I was finding it difficult to maintain my responsibilities at work with my course, so I reduced my hours to two days a week. This has been a great help and find I have more time to utilise. I find keeping organised the way to keep up with my studies, writing a to-do list and prioritising tasks in the same way that I do when working in the Jobshop. I decided the best option for me was to try and get a part time job. Though instead of running for the first incoming position, I carefully marketed myself as a freelance engineering student.I was able to successfully land a very well paid position as a project leader for exo-skeleton technology development. I would definitely recommend this procedure to any student having difficulties funding their studies. It’s a win-win situation, I can fund my studies as well as greatly improve my resume and develop my skills. I work part-time – 2 days a week. It means that I sometimes have to do my coursework in the evenings or on weekends and I need to be quite strict with myself. It definitely requires good time management skills and thinking of assignments in advance, but if you do that, you’ll be fine!